Fun collection of different styles and different shapes of blank buckles that you can use to create unique and one of a kind gifts. The engraver, the leather carver and the painter will have a good choice to work from in creating a beautifully designed and personal gift. 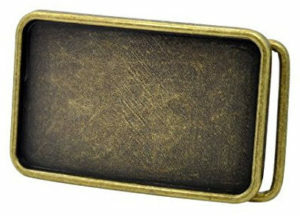 These buckles are drop shipped from Amazon and will usually be shipped to you within days. Amazon has great shipping policies in place especially during the Christmas Holiday season. 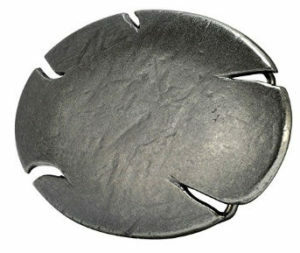 The round plate is 2.6" in diamter and fits a standard 1.5" belt. 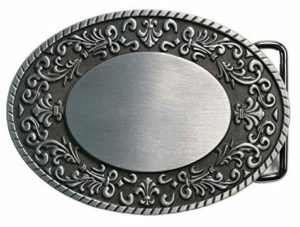 The circular silver tone buckle gives ample room for something like a beaded design. 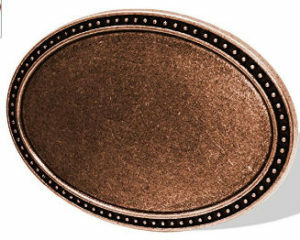 Gorgeous Coppertoned buckle blank with 'bullet' style trim. This buckle is imported. This buckle is imported. It's about 3.5" x 2.95 brushed silvertone background excellent for engraving.The rope 'trim' extends off the buckle itself for a neat touch. 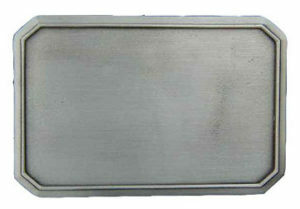 Check Amazon Price Here This High Quality Silver toned rectangle buckle has enough room for a classy insert of your choosing. Expert at beading or leather carving? Insert your work here for a unique look. 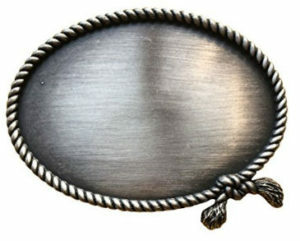 Measures: 3 3/4" by 2 1/2"
Bronze Tone Oval Belt Buckle Blank has a truly western look with rope trim. 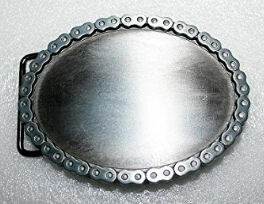 Fits standard 1.5" belts and has a decortating space of 4" x 3"
Check Amazon Price Here Black and Silver Toned Rectangular Belt Buckle Blank has an oval area for adding your beaded, leather or metal design. Design is perfect for men orwomen. 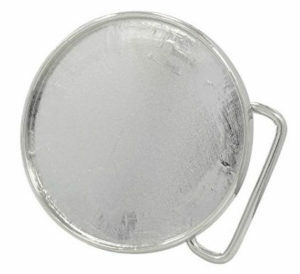 Check Amazon Price Beautiful Silver toned Oval buckle blank with floral edging Perfect for women and ladies. 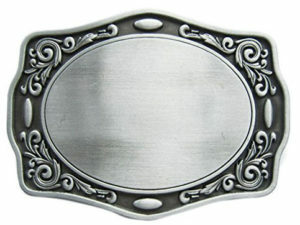 This unique buckle blank has artistically placed 'tears' on the corner. This buckl would be perfect for a selt-styled emblem or personal logo. Fits standard 1/5" belts and has dimensions of 4" x 3.5"
Check Amazon Price This buckle is PERFECT for the talented decorative designer! 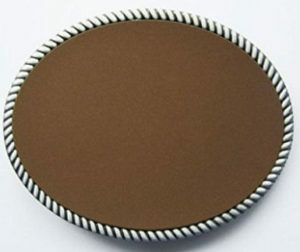 Detail your own design on the leather background with paints or carving tools. White laced twisted rope-like trim. 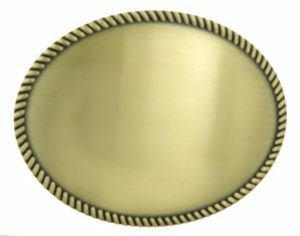 Check Amazon Price Here Really unique belt buckle blank has a chain link trim. Have a logger or lumberjack in your life? Is your son a little budding biker? 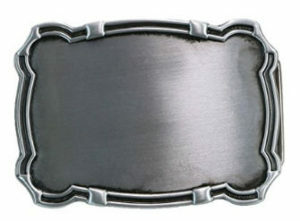 Personalize this belt buckle blank just for him!